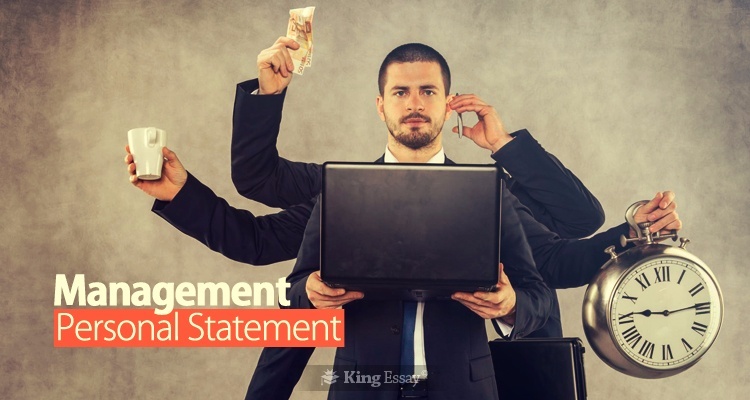 A personal statement is presented accompanied with the supporting documents to apply for a management course in a university. The candidate will be the main subject for the composition with a maximum character limit of up to 4,000 characters. The contents should describe the aspirant’s justifications for wanting to study that particular management course. Keep in mind there will several other management candidates vying for the same position in that same management course in that very same business institute. If the institute is ranked particularly high according to World University rankings expect even tougher competition and difficult entry requirements. The chance of non-serious pupils actually making it through the admissions procedure is out of the question in these universities. There are some basic factors which should be included in a personal statement for business management. Some of the most obvious features include providing justifications why you are a perfect fit for that given business or management course. Personal statement writers need to show that they have done their research and highlight facilities from that university which you plan to utilise. Before actually putting forward this enthusiasm emphasise on extracurricular achievements and present a well rounded overall personality. If you have acquired any additional management certifications or qualifications it will illustrate your dedication. The personal statement should elucidate both your short term and long term goals and how the role of that institution helps you to achieve those goals. Now we know what should be included in the personal statement business let’s examine what needs to be left out. Negativity: Positively focus on your business academic achievements. There is no room for providing reasons why you failed to achieve certain objectives. Humour: Trying to include comedy can have serious repercussions. This is not a place to express common expressions in English. Quotations: The reason why it is called a personal statement is because it is supposed to be personally yours. It doesn’t matter what those famous personalities said, it was not about you. Worn out expressions and vocabulary: Management admissions committee members are no longer impressed by those same overused phrases. On the contrary, it reflects laziness. King Essay administers specially designed services for the convenience of management students and scholars of all other specialties. We impart some of the best personal statement finance prices in the market. We maintain full confidentiality of all of our client’s information. The personal statement composed by our staff will be delivered exactly to meet your deadline with a money-back guarantee. Our management has the necessary experience to deal with the different requirements associated with the different academic institutions. Our standard business ethics include providing a guarantee to for zero plagiarism with each one of our productions.